One of my biggest pet peeves is when someone says 'there is nothing to do in downtown Reno' or 'there is no shopping in downtown Reno'. Phooey! I decided to start a guide of my own of places I frequent. Many tourists and locals are surprised by downtown Reno's dining options. This is particularly evident in dining review sites like Yelp and this this site. 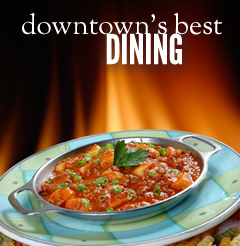 Explore a wide selection of nationally-acclaimed restaurants that have made Downtown Reno a top dining neighborhood. 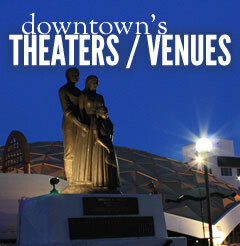 Many downtown locations made RNR's Best of Reno 2011 list. Whether you're looking for established favorites or hot new restaurants, this list of restaurants includes plenty of reliably delicious options. Click here to explore my favorite dining hotspots. 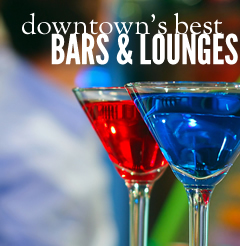 Downtown Reno boasts an amazing bars and lounges downtown. We have sports bars, ultralounges, dive bars, gay bar, ecltectic lounges, old English-style pubs, Irish pubs, and good ole' fashion beer. Only a few short years ago bars were few and far between downtown...now it's undoubtedly the city's night life center, with so many Reno bars within walking distance you'll find a lot of Beer Crawls happening through the season as well. Click here to explore ALL my favorite Reno bars downtown.